If your vomit has a yellow or green hue, you are likely vomiting bile. Bile is a liquid produced by the liver that aids digestion. It is typically present in vomit; however, it’s regurgitated in small quantities that can easily go unnoticed. Depending on your previous meal and medical history, there are numerous factors that could lead to the vomiting of bile. If you have recently vomited bile, visit your local FastMed Urgent Care for an evaluation by a medical professional. Food Allergy/Poisoning. Consumption of food that is intolerable to the body will cause a response prompting forceful vomiting that contains bile. Binge drinking. High amounts of alcohol consumed in a short amount of time may cause an intolerance. The body will get rid of the toxins by causing forceful vomiting that can contain bile. Bile reflux. An overabundance of bile within the stomach can cause vomiting. Commonly occurs after gastric surgeries. Intestinal blockage. A blockage of the bowels stops food from passing through, causing intense abdominal pain, constipation, and vomiting bile. Vomiting on an empty stomach. If you vomit without any food in the stomach, bile is the only fluid that is able to be regurgitated. 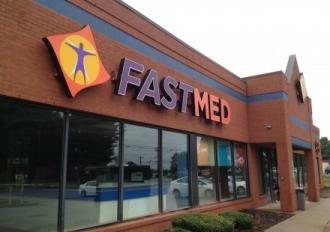 FastMed is a network of walk-in clinics staffed by experienced and dedicated medical professionals. Our state-of-the-art facilities are open seven days a week. No appointment is necessary, but you can check in online for an even quicker wait time.